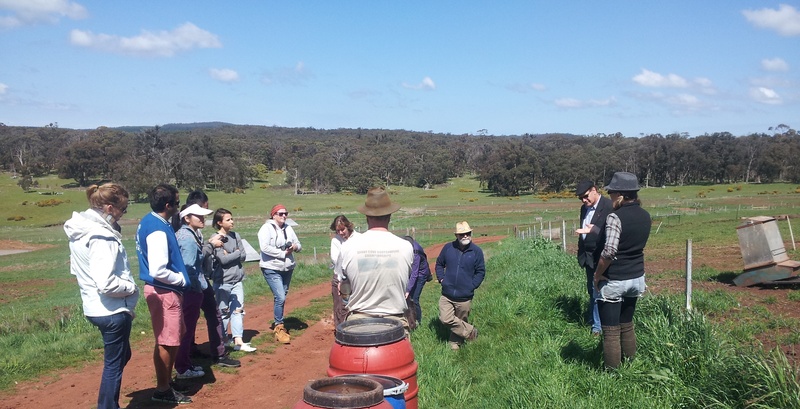 On a lovely sunny Sunday recently, we held our very first expedition with international students studying in Australia. We travelled in a convoy of cars to Daylesford, 110 kilometres from Melbourne. The aim was to give the students some interesting educational experiences, introduce them to local students a good time, and test our approach to running such journeys. The students came from China, New Zealand, Canada and Latin America – and we also joined by a high school teacher originally from China. 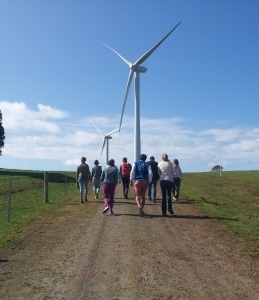 First stop was Hepburn Wind Farm, where we learnt so much about community-based energy projects. Debate over wind turbines was initially polarised, but with much explanation and encouraged to invest financially in the community project, 99 per cent of people swung behind it. Second stop was a free-range piggery based on heritage-breed Large Black pigs. The pigs roam outside all year, and are fed on brewery by-products. The animals are slaughtered on-site, and the meat sold direct to people nearby and in Melbourne – delivered in a vehicle running on cooking oil and fats collected locally. They have just introduced a Community-Supported Agriculture (CSA) membership model. Third stop was Daylesford neighbourhood house, where we met two local people very knowledgeable about the local environmental issues and their history. We learnt much about the highs and lows of various initiatives. JCJ is exploring models for how to run these trips with Students 4 Sustainability, who ran this trip – thanks to Cath, John and Liz.